for $514,900 with 3 bedrooms and 2 full baths. 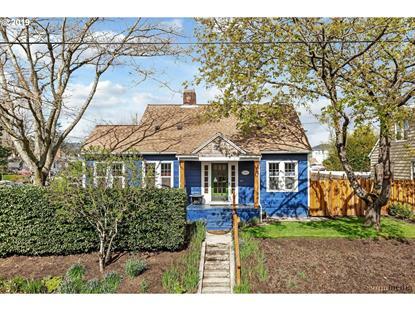 This 2,236 square foot home was built in 1925 on a lot size of 0.0900 Acre(s). Portland Charmer located walking distance from UP, just what you're looking for! Whether it be a place to call home, or a prime investment property, This Is It! Loads of charm & character. Easy flow floorplan, formal dining, a kitchen with ample cabinetry, bonus room & wet bar on the lower level with two addt'l rooms(nonconforming), step out the back door to the covered patio for year-round BBQs.All you need to do is move right in!